September 1980) is a Nigerian news carrier blogger, writer, entrepreneur and former model. She is best known for her blog. She is the highest paid blogger in Nigeria. Ikeji was born and raised in a Catholic family from Nkwerre, Imo State. She is the second child. Linda began her hobby in writing at the age of 10. Linda Ikeji finished secondary school at the age of 17 and, at 18, enrolled at the University of Lagos, where she studied English Language. To assist her family and support herself through school. Ikeji graduated from the University in 2004. Linda ikeji had part-time jobs as a waitress, model at the University of Lagos for about a year and six months, critics often refer to her as "a failed model", She Was also a writer. “It was early 2000, I hadn't done any modelling jobs in a bit. I didn't have any money in school, hadn't ate a proper meal in days, there was no money at home… My sister called and asked if I could send money home…didn't have any. I wondered what to do…then I thought of this” aristo” who had been chasing me for months now…old man…married....rich…in his fifties. After graduation, Ikeji started blogging in 2006. She became an active blogger 2007 using a blogger sub-domain and later obtained her custom domain www.lindaikejisblog.com. She Started Blogging At the Age of 26. 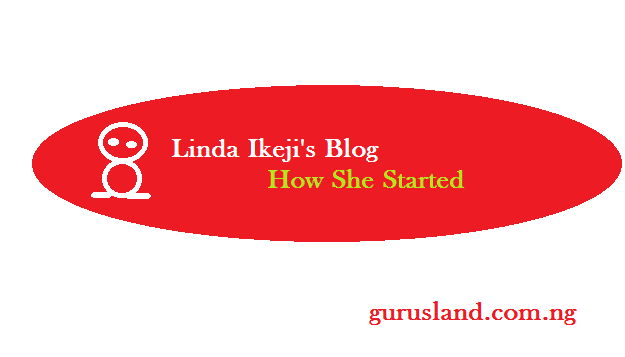 How much did Linda Ikeji Used to Start Up her Blog? Her startup capital is 0.00 Naira, it was free because her blogging platform is blogger.com and she started with a subdomain. How Long Did It take Linda Ikeji to start Earning Money from Her Blog? She started blogging in 2006, but started earning from her blog in 2010, four years later. Her Monetization channel is Google AdSense and Direct Ads Placement. A banner space in her blog costs around 250,000 Naira per month. What is Linda Ikeji Blogging Niche? Linda Ikeji Blogging Niche is Entertainment, Fashion, Celebrity Gossip and Lifestyle. What Made Linda Ikeji A Successful Blogger? Patience, Passion and Consistency, believe me, No Today's Newbie Blogger Will be willing to wait for four good years before monetizing their blog, In fact, today’s bloggers will want to start making money from their blog even before they create the blog. Linda Ikeji Never knew she could make money doing what she loves doing, Take your eyes off the cash! That's the perfect way to start blogging. What Is Linda Ikeji’s Blogging Secrets? Hmm, I don't know if I should say it, but believe me, I Know about Two of them, But let me tell you one of them, the one that might help your blogging carrier, "She has little or no Privacy Of her own", Be you stranger or family, she is ready to tell you whatever you want to know about her. Even her Private Sexual life is Not Left in the Cave. This In-depth relationship with her blog visitors helped her blogging career a big deal, her interaction with her blog visitors was great, In fact, Many people do visit her blog to read comments and not the article per say. How Much Does Linda Ikeji Earn From her Blog? As At April 2017, Linda Ikeji makes $3,000 (roughly 1.2 million Naira) per day. What Is Linda Ikeji daily Visitor's Traffic Hits? Linda ikeji's blog Gets over 1 million daily Hits from across 180 countries. What is Linda Ikeji's Staff strength? 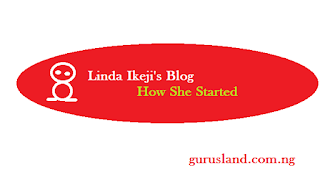 Linda Ikeji has two Full Time Bloggers, Several Agents and Hundreds of Guest Bloggers. Linda Ikeji was the biggest Google Search trend in Nigeria for 2014. The name Linda Ikeji was the most searched item by users of Google in Nigeria. Why Was Linda Ikeji's Blog Shut Down In 2014 By Google? Ikeji's blog was shut down on 8 October 2014, but restored on 10 October 2014 around midnight by Google for undisclosed reasons. However Blognigeria research gathered That her blog Was shut Down Upon Complaint And Request by a Well Know public figure (Name Withheld for security reasons), Yes, The personality claimed that Linda Ikeji poke-Nosed into His personal Life To destroy his Reputation. Even Though he was Just One of the Many Public Personalities Complaining Of same beef, His case was slightly different, but let's not go too deep on that. Ikeji runs a non-profit project themed "I'd rather be self-made; No thanks." In her interview with Hip TV, she revealed that through the project, she assists young girls aged 16–25 who have great business ideas and are willing to venture into entrepreneurship. She gave out the sum of NGN10, 000,000 in the Phase 1 of the project. She announced the commencement of Phase 2 of the Project via her Instagram account. What Are Linda ikeji's Weaknesses? Her weakness comes mainly from her wrong Choice of Blogging Platform. At the beginning, What she Wanted Was an interactive platform, much more like a forum, But maybe she didn't have Any Startup capital then or did not get a proper guide like this book, she went for the free blogger.com. Here she is today, she can't specifically identify her members even those that has supported her from day one, it’s very hard for her to reward her loyal members and she can't call them by their name because blogger.com don't allow member's registration. This Short coming Lead to The creation Of Linda Ikeji Social, What she wanted from the beginning, a social Platform. Linda Ikeji has Another Worrisome Weakness, her Controversial Posts and beef With Celebrities, Perhaps You must have heard about her Drama with Wizkid Right? Believe me I would not want to dig into that matter. These controversies has led to the boom of her Blog, but believe me, it is not lacking in its own share of back-fire. Notice; This Theme is not meant to tarnish the image of the subject but to serve as a guide for People who are willing to venture into blogging.